This season, Mr. Costanzo makes his debuts at the San Francisco Opera in Partenope, Teatro Real in Death in Venice, and the English National Opera in The Indian Queen. He will also be presented in recital in New York by the George London Foundation and in Princeton by Princeton University Concerts. Mr. Costanzo’s other recent opera engagements have included Rodelinda, The Enchanted Island, and Die Fledermaus at the Metropolitan Opera; his debut at the Glyndebourne Festival as Eustazio in Rinaldo, Semele at the Canadian Opera Company, the title role in Tolomeo, the Sorceress in Purcell’s Dido and Aeneas, and staged performances of Pergolesi’s Stabat Mater at the Glimmerglass Festival; the title role in Orfeo ed Euridice at the Palm Beach Opera, Armindo in Partenope at the New York City Opera, Tolomeo in Giulio Cesare at the Michigan Opera Theater, Ottone in Agrippina at the Boston Lyric Opera, the US premiere of Henze’s Phaedre at the Opera Company of Philadelphia, a guest appearance as Oberon in Britten’s A Midsummer Night’s Dream with the Seattle Opera’s Young Artists Program, and the title role in Manhattan School of Music’s main stage production of Lucas Foss’ Griffelkin. In 1994, he performed in Amahl and the Night Visitors at Lincoln Center and with the Opera Company of North Carolina, made a critically acclaimed debut with the New Jersey Opera Festival as Miles in Britten’s The Turn of the Screw, and appeared with Luciano Pavarotti in Philadelphia at the Academy of Music’s Opera Extravaganza. He also recently had the honor of appearing as a special guest artist in a traditional Kabuki production of The Tale Genji in Kyoto. On the concert and recital platforms, Mr. Costanzo recently made his debut at the Mostly Mozart Festival with the International Contemporary Ensemble, appeared as Prince Go-Go in Ligeti’s Le Grand Macabre with the New York Philharmonic, and sang Handel’s Messiah with the Cleveland Orchestra, National Symphony Orchestra, and in Carnegie Hall. He has also been a featured soloist with the orchestras of Indianapolis, Alabama, Detroit, Denver, Seattle, and was the soloist in the premiere of John Corigliano’s A Dylan Thomas Trilogy with the National Symphony Orchestra at both the Kennedy Center and Carnegie Hall. He has sung Debussy’s Ariettes Oubliées in a theater piece at the Guggenheim Museum in New York, performed Stefan Weisman’s From Frankenstein at Merkin Concert Hall, and premiered composer Gregory Spears’s hour-long piece 6 Owen Songs. Additional New York City appearances include performances at the Asia Society, Simon Hammerstein’s The Box and at prominent art gallery Deitch Projects. Internationally, Mr. Costanzo has been presented in recital in the Chan Center in Vancouver, performed the title role in Balletto Teatro di Torino’s ballet Caravaggio with original music by Giovanni Solima, and toured Italy as the Master of Ceremonies in Karole Armitage’s Casanova. While studying at Princeton University, Mr. Costanzo co-wrote, produced and starred in a narrative pasticcio about the life of a fictional 18th-Century Castrato entitled The Double Life of Zefirino. The work was directed by Karole Armitage, with costumes by James Ivory and sets by Andrea Branzi. A documentary about the creation of the piece was directed by filmmaker Gerardo Puglia and was subsequently selected for the Cannes Film Festival and qualified for an Academy Award. Mr. Costanzo recently won 1st Prize at the 2012 Operalia competition. He is also the winner of a 2010 George London Foundation Award, a 2010 Richard Tucker Career Grant, and First Place and Audience Choice winner of the 2010 Eleanor McCollum Competition for Young Singers. In 2009 he was of the winners of the Grand Finals of the Metropolitan Opera National Council Auditions. Other awards include the Sullivan Foundation Award, a grant from the Giulio Gari Foundation, encouragement awards the George London Foundation Competition, the Jensen Foundation, and the Mario Lanza Foundation, and First Place winner in the National Opera Association Vocal Competition, Vocal Division. 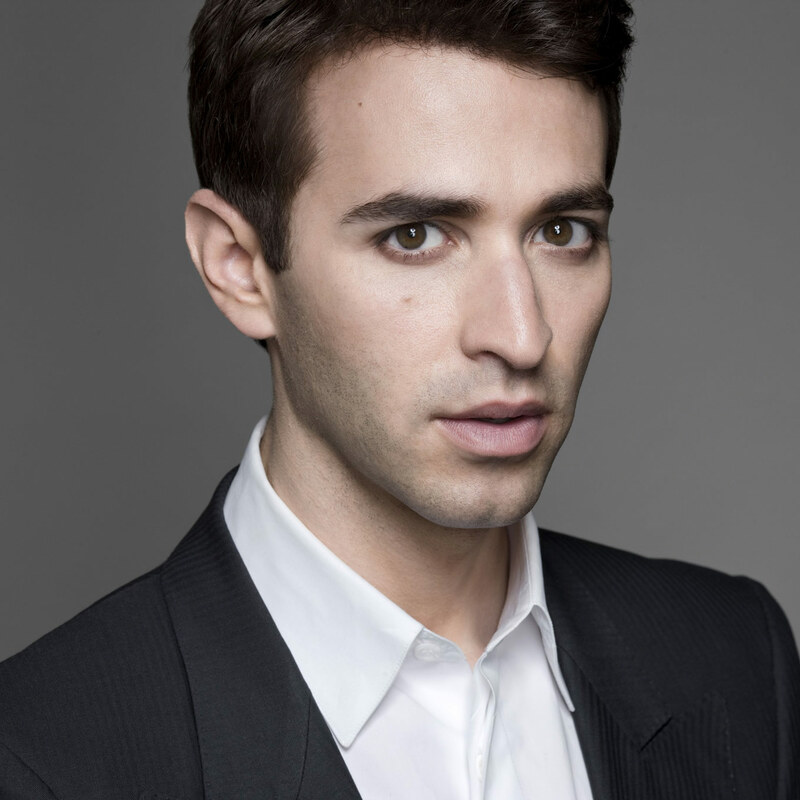 He also has the honor of being the first countertenor ever to win First Place in the Opera Index Competition.